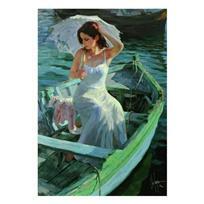 Vladimir Volegov, "Lost in a Tale" Limited Edition Hand Embellished on Canvas, Numbered and Hand Signed with Certificate of Authenticity. 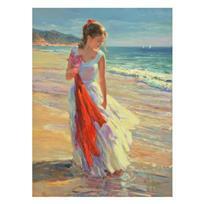 Vladimir Volegov, "Coastal Breeze" Limited Edition Hand Embellished on Canvas, Numbered and Hand Signed with Certificate of Authenticity. 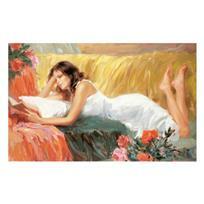 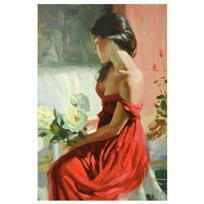 Vladimir Volegov, "From a Rose" Limited Edition Hand Embellished on Canvas, Numbered and Hand Signed with Certificate of Authenticity. 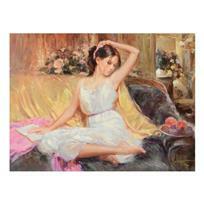 Vladimir Volegov, "Lakeside Reflection" Limited Edition Hand Embellished on Canvas, Numbered and Hand Signed with Certificate of Authenticity.